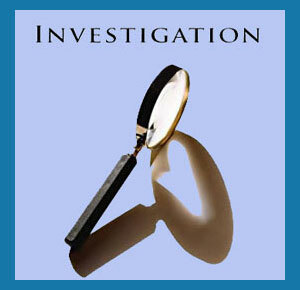 Pennsylvania private investigators typically work in one of the 2 main areas of legal activity in the state. The most active detective marketplace is certainly Philadelphia, with private eyes that are based in The City of Brotherly Love also commonly taking their jobs into New Jersey or even New York, on occasion. Pittsburgh is the center of investigation services in Western Pennsylvania and detectives there sometimes follow their assignments into the nearby areas of Ohio, Maryland or West Virginia. This essay focuses on the diversity of investigative services in the state of Pennsylvania. Pennsylvania still has an active industrial presence, although the number of companies operating in the heartland has diminished over the years. The remainder of businesses still use investigators to handle corporate cases, including intellectual property issues and employee theft concerns. Eastern Pennsylvania has the greatest number and variety of detective assignments available, with large numbers of trial preparation cases, personal injury cases and insurance investigations keeping local providers busy. Western Pennsylvania has many missing children cases, as kidnappings seem to be an unfortunate part of rural living. Additionally, cult rescue specialists often find themselves being called to the state, as there are several well known organizations in the area which are considered to be cult-like in their behaviors. Besides for Philadelphia, the remainder of the state has suffered an economic decline which has slowly eroded at the prospects for business viability in Pennsylvania. The investigation industry has also been hit hard and many service providers have left the region for greener pastures, especially with hot spots of detective work so close in other legal markets. If you are a busy working professional detective in Pennsylvania, you have done well for yourself, but we do not recommend this state as an ideal location to begin a new detective agency, unless it is based in Philadelphia. Pennsylvania investigators must be tough and resilient in order to struggle through tough times and sparse case loads. Those who survive are surely the best of the best in the state and some even thrive, despite a declining economy and dwindling population. A few investigators use long-standing ties to the community to help them stay connected to their clients and even closer to the targets of their cases, marketing themselves as true Pennsylvanians. However, with investigators coming in from New York, and especially New Jersey, even much of the work which does exist in the Keystone State is contracted to out-of-state providers, making it particularly tough on Pennsylvanian detectives.